13-May-2011 -- We visited this confluence point during our holidays in Cyprus. This point in not far from Agía Nápa, a nice town to make holidays near the famous "Nissi Beach". 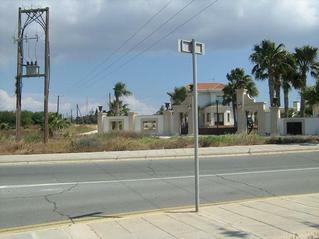 During our week in Cyprus we drove by a hired car to visit points of interest. The confluence point is near a crossroad and there are some houses nearby.